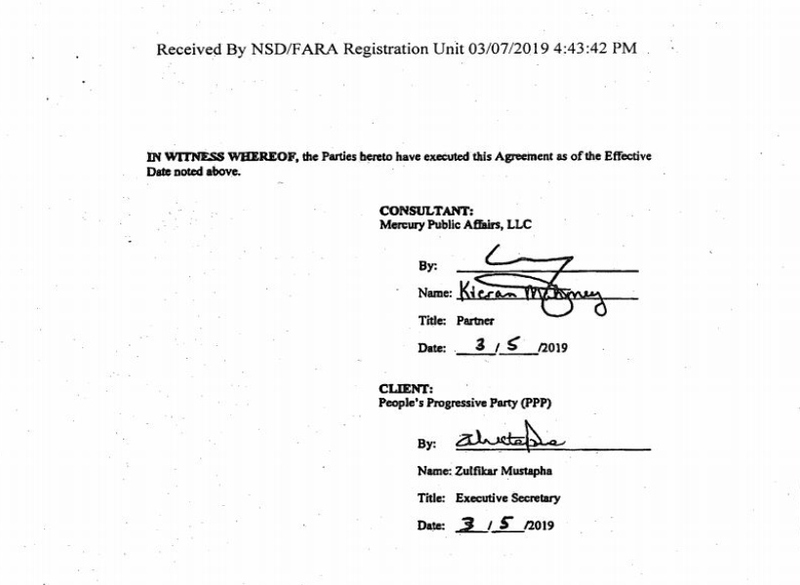 The People’s Progressive Party (PPP) has retained the services of Trump lobbyist, Mercury Public Affairs, to provide strategic consulting and management services specific to issues facing the PPP in the areas of government relations and issues of management. The consultancy firm will also arrange meetings with the Executive Branch and the Congress of the USA, the Organization of American States, and think-tanks in connection with issues relating to the anticipated General and Regional Elections. 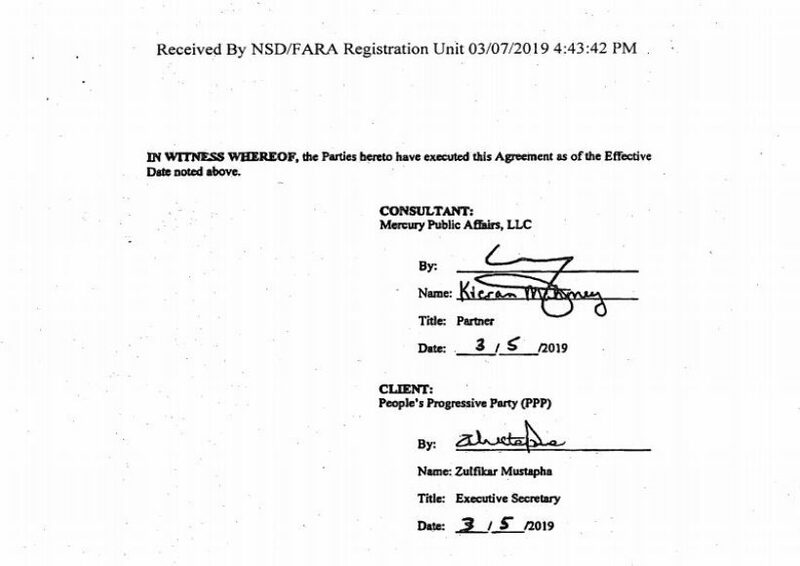 The contract was signed on March 7, 2019, between Executive Secretary of the PPP, Zulfikar Mustapha, and Mercury Public Affairs. The PPP has already paid US$31.4M upfront to secure the services of the Trump lobbyists. Research done by this news agency indicates that Mercury has been fined by the USA Ethics Committee for violations of the law and has been fingered in other corrupt acts linked to the Donald Trump administration. More details to come in follow up story.